Justice Watch: House Takes Action Against So-Called “Abusive Lawsuits"
House Takes Action Against So-Called “Abusive Lawsuits"
In yet another conservative attack on everyday Americans' rights to seek justice in the courtroom, the House Committee on the Judiciary yesterday took action on a bill called the Lawsuit Abuse Reduction Act (“LARA”). LARA’s sponsors claim that the legislation will curb "frivolous" lawsuits by imposing mandatory sanctions on lawyers who file claims and pleas that do not line up with current laws. In all but open-and-shut cases, lawyers who file suits for their clients would run the risk of violating this new law. In effect, this law would prevent civil rights litigants and consumers from bringing valid claims. Instead of permitting a judge to use his or her discretion when imposing sanctions on attorneys who file frivolous lawsuits, LARA would force the judge to impose sanctions in every case deemed "frivolous." As a result, lawyers will expend much time and energy litigating this rule instead of arguing the merits of their cases on behalf of their clients. Judges saw this effect during the 1980s, when Rule 11 of the Federal Rules of Civil Procedure required that judges impose mandatory sanctions on attorneys if their arguments are deemed as harassment, lacking in investigation, or otherwise frivolous. The rule was substantially relaxed in 1993, and now gives judges considerable discretion as to the nature of sanctions imposed. 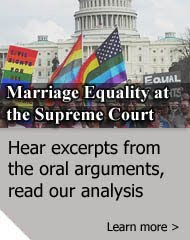 Moreover, studies such as the Federal Judicial Center’s Study of Rule 11 showed that Rule 11 sanctions prior to 1993 disproportionately harmed consumer and civil rights attorneys, as well as those attorneys attempting to extend the law in support of unpopular causes. Several committee members pointed out the flaws in LARA during yesterday's hearing. In arguing that the bill would actually increase litigation, Rep. Jerrold Nadler (D-NY) called the bill "a solution in search of a problem." In an effort to prevent the bill’s adverse effects, Rep. Sheila Jackson Lee (D-TX) proposed an amendment that would give judges discretion on whether or not to impose sanctions; a majority Republican vote rejected this amendment. 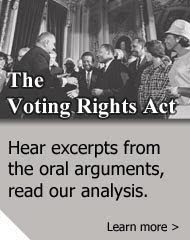 In a minor victory, Rep. Bobby Scott (D-VA) successfully proposed an amendment to the bill that would ensure that Constitutional claims are not subject to the new rule; Constitutional claims, he argued, often do not fall in line with existing law and might thus be sanctioned even if meritorious. Ultimately, the majority-Republican committee approved the bill. You can watch a webcast of the committee’s markup here.